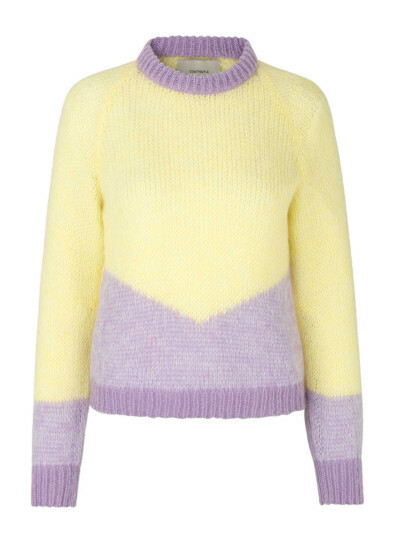 A bright pastel yellow knit from Coatpeople By Stig P with a light purple color detail by the sleeves, hem and neckline. 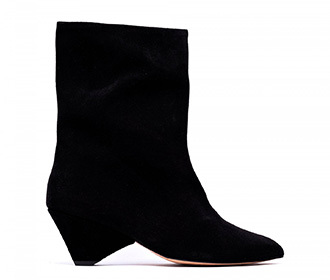 It's made in Italy in a soft mohair mix and fits true to size. This piece is made in limited numbers and is signed by the one who made it. Your garment will for sure please you for many years to come, but should the day come for you to say goodbye - please remember to recycle. 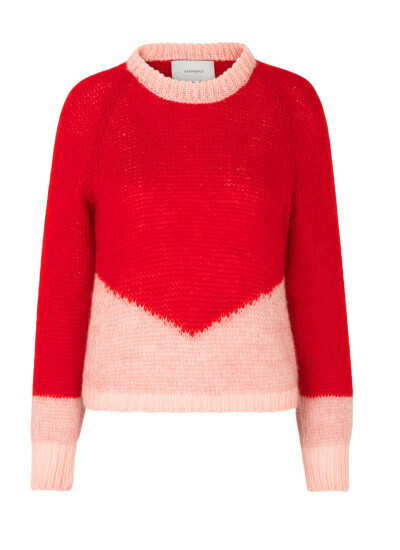 A bright red knit from Coatpeople By Stig P with a light rose color detail by the sleeves, hem and neckline. 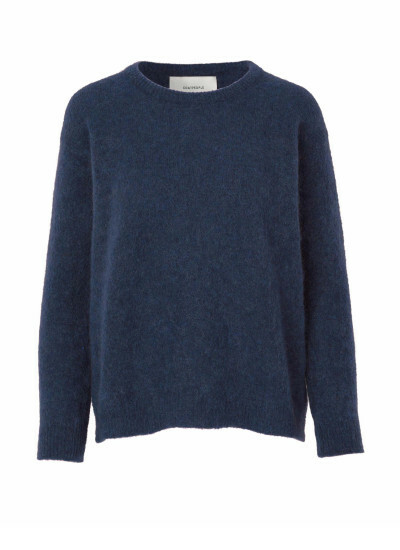 It's made in Italy in a soft mohair mix and fits true to size. This piece is made in limited numbers and is signed by the one who made it. 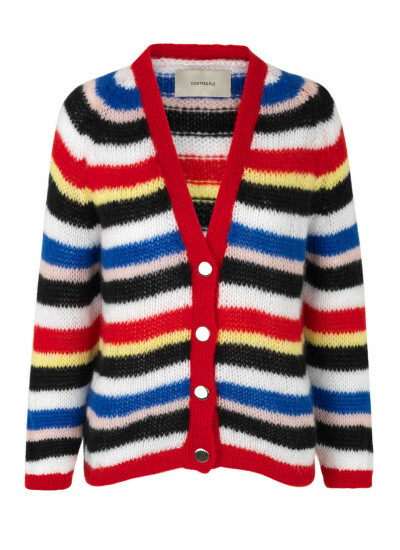 A chunky knit in multi colored stripes with silver statement buttons. This knit is made in limited numbers and is signed by the one who made it. 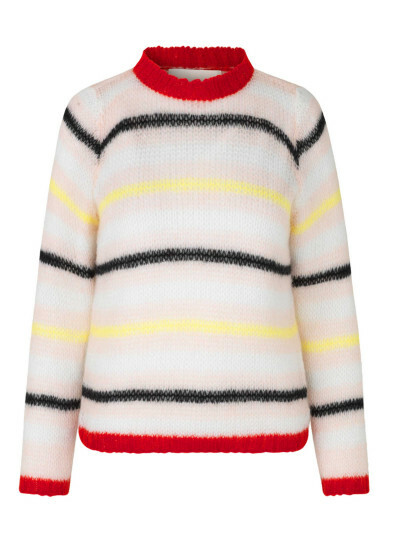 A light knit from Coatpeople By Stig P in light rose, white, yellow, black and red stripes. 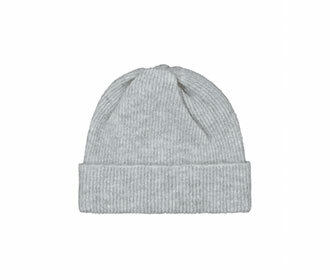 This knit features a round neck and a classic fit. This piece is made in limited numbers and is signed by the one who made it. Your garment will for sure please you for many years to come, but should the day come for you to say goodbye - please remember to recycle. 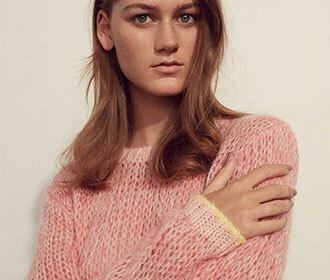 A rose colored knit, made by hand in Italy. 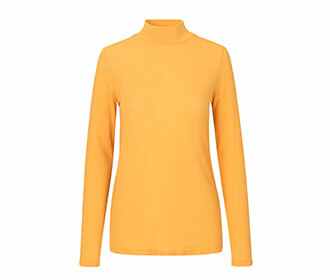 Cate knit fits casually with a round neck, and features yellow contrast color on cuffs and hem. 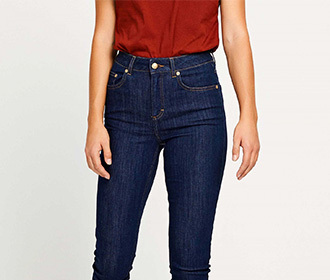 Wear it with jeans or a cool skirt. This knit is made in limited numbers, and it's signed by the one who made it. 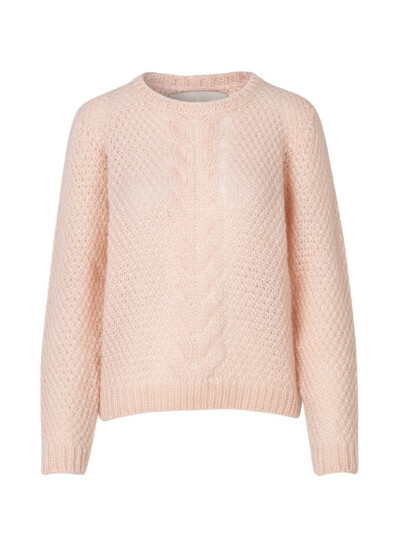 A light mint colored knit, made by hand in Italy. 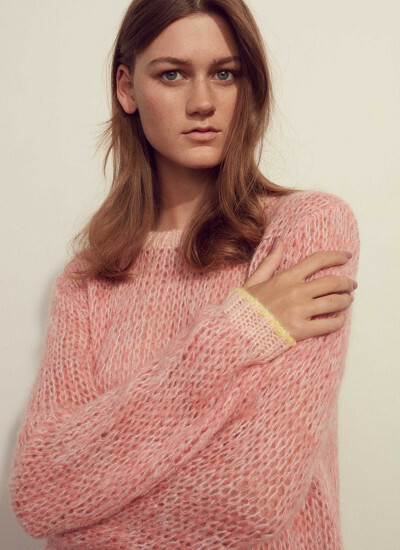 Cate knit fits casually with a round neck, and features contrast colors on cuffs and hem. 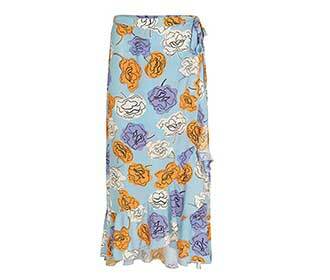 Wear it with jeans or a cool skirt. This knit is made in limited numbers, and it's signed by the one who made it. 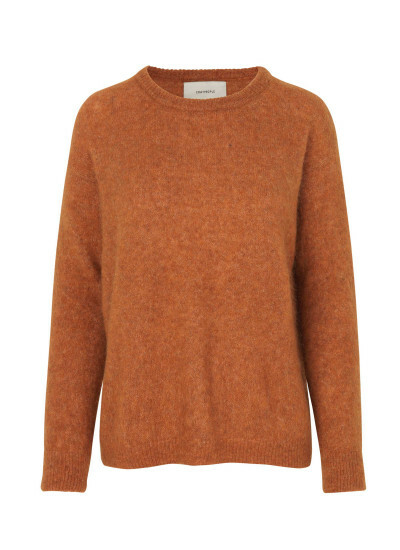 Cosy cardigan from Coatpeople By Stig P, in a warm apricot color, perfect for spring. 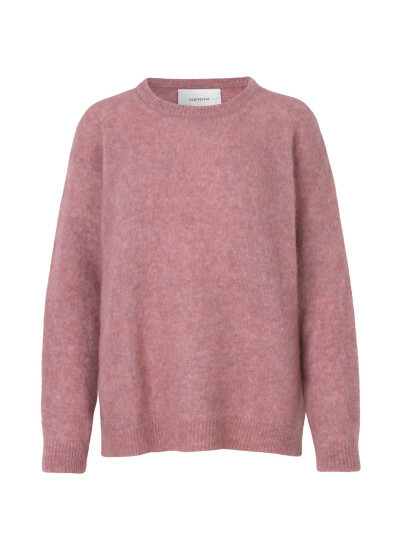 This knit fits casually, and is true to size. 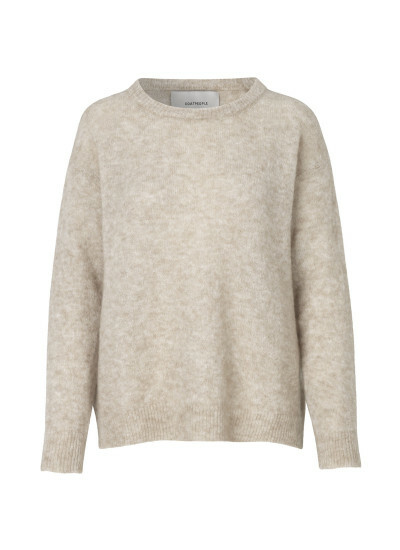 Cosy cardigan from Coatpeople By Stig P, in a light beige color, perfect for spring. 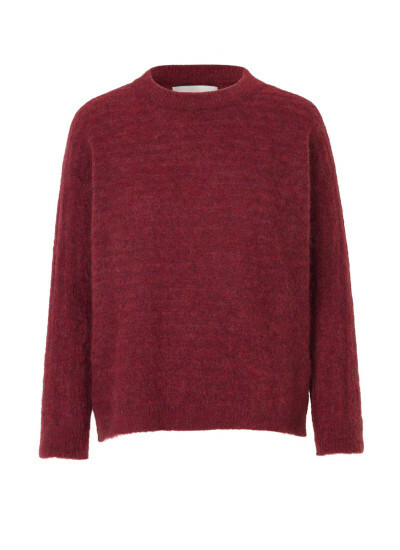 This knit fits casually, and is true to size. 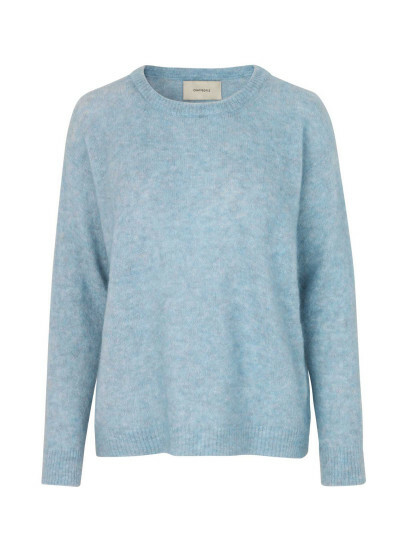 The perfect knit, in a light blue pastel color with round neck and normal/casual fit. More colors available. Made in Portugal, and signed and numbered by the Coatpeople. 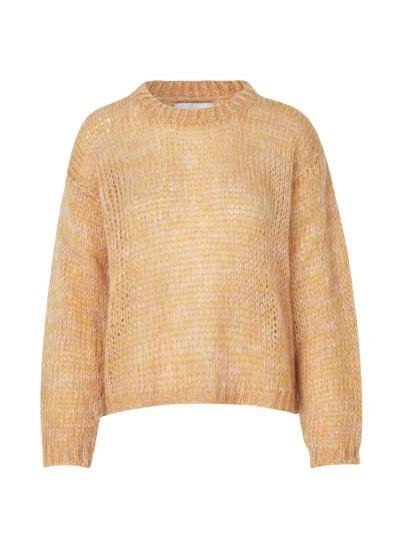 A perfect knit in a apricot/camel color, with round neck and normal/loose fit. More colors available. Made in Portugal, and signed and numbered by the Coatpeople. 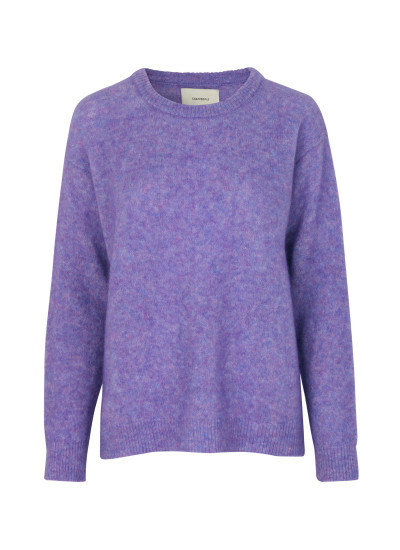 The perfect knit in a bright violet color with round neck and normal/loose fit. More colors available. Made in Portugal, and signed and numbered by the Coatpeople. 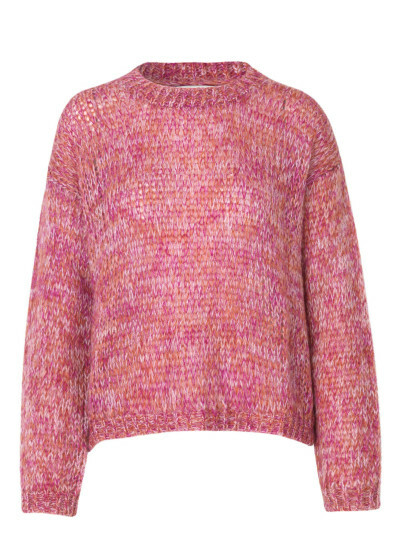 Hand made loose fit knit with round neck, in multi colors rose/pink/amber. This knit is limited, and it's numbered and signed by the one who has knitted it. Made in Italy. 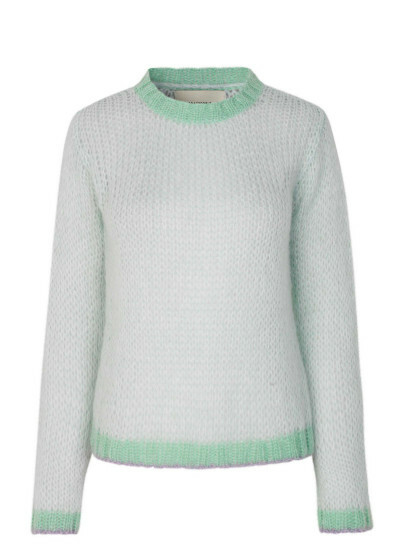 Super soft mohair knit in a bright mint color with round neck, in a rib stitch. This knit is produced limited and is signed and numbered by the seamstress. 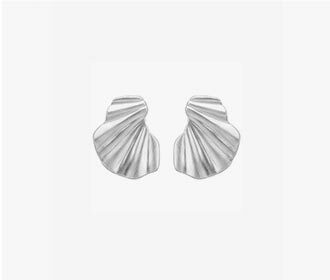 Designed in Copenhagen - produced in Italy. 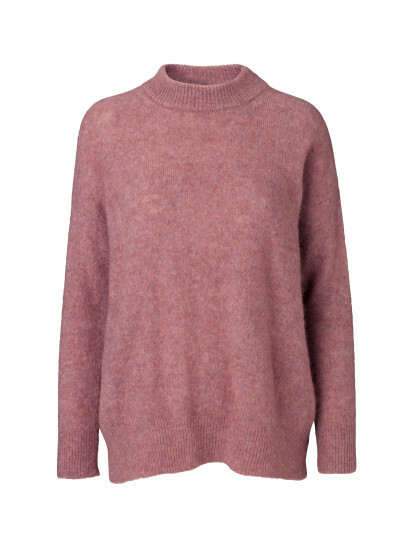 The perfect knit, with round neck and normal/loose fit. More colors available. Made in Portugal, and signed and numbered by the Coatpeople. 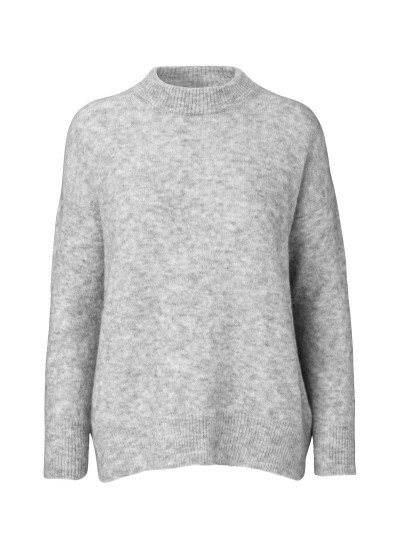 Clodia knit in a soft mohair/wool mix with round neck and loose fit. More colors available. Limited and personal signed and numbered by the Coatpeople. The perfect knit from Coatpeople with round neck, in a semi loose fit - in a soft mohair mix. This knit is limited, and numbered and signed by the seamstress. 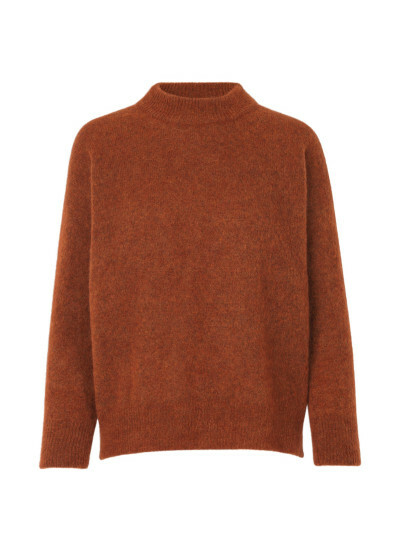 The perfect knit from Coatpeople with round neck, in a soft mohair mix. This knit is numered and signed by the seamstress. 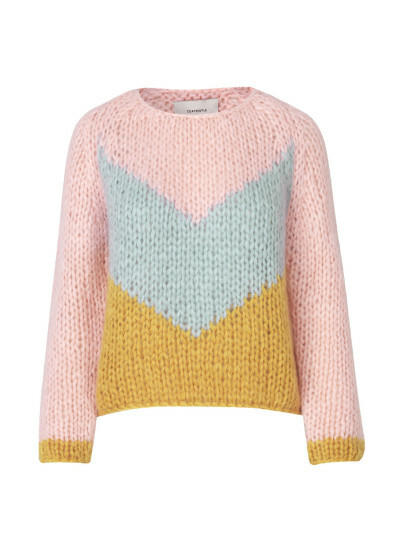 Hand made loose fit knit with round neck, in multi colors with light rose and yellow. This knit is limited, and it's numbered and signed by the one who has knitted it. Made in Italy. 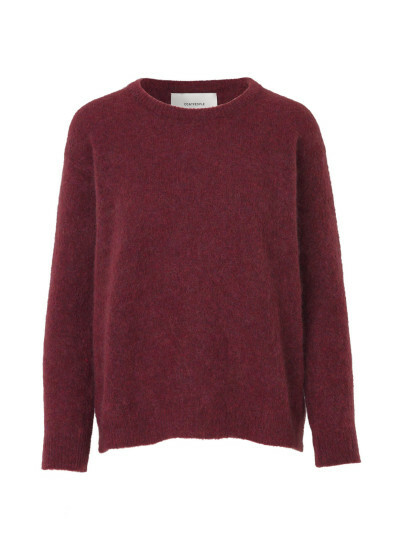 Cool short fit jumper in block colors. Made by hand in Italy. This product is limited numbered and signed by the the seamstress who made it. 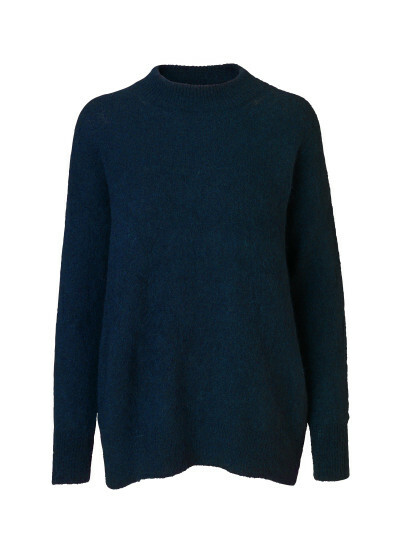 Clodia knit in a soft mohair/wool mix with round neck, and loose fit. More colors available. Made in Portugal, and signed and numbered by the Coatpeople. 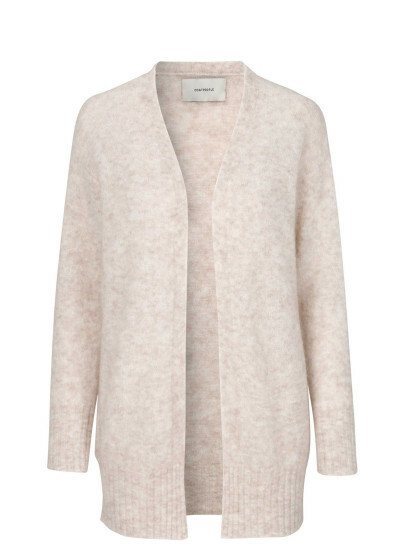 The perfect cardigan in the best colours of the season. 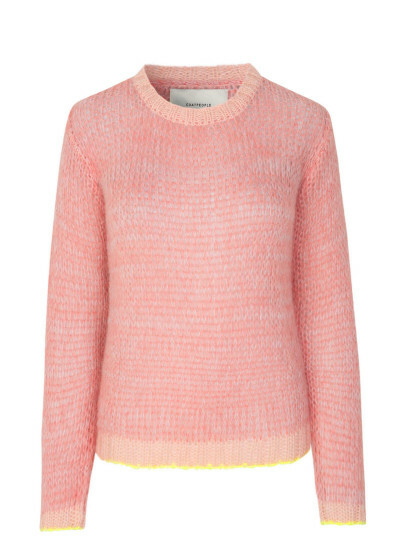 The perfect Italian knit, with high neck and loose fit. More colors available. Made by hand in Italy, and personal signed and numbered by the Coatpeople. The original woolmix poncho from danish Coatpeople. 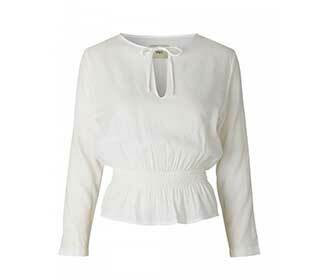 Perfect for transition outerwear for spring or autumn together with a longsleeved knit or leatherjacket. This poncho has a chunky oversized look, buttons at the turtleneck and two front openings with button closure.